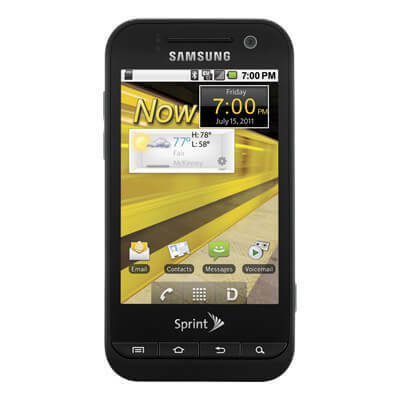 Samsung, Sprint and NASCAR Promotion & Giveaway! Attention everyone! If you live in the Dallas area I am happy to announce a great promotion and giveaway for you brought to you by Samsung, Sprint and NASCAR! If you are a NASCAR fan you know that the Samsung 500 is April 14th at Texas Motor Speedway. In conjunction with that event, Samsung and Sprint have teamed up for a great promotion at participating Sprint stores in the Dallas-Fort Worth area. Now through March 31st if you go to a participating Sprint location and get a demonstration of the Samsung Conquer or Samsung Epic 4G Touch you will receive a scratch off game piece where you could win anything from a Samsung 500 race t-shirt all the way up to tickets for the Samsung 500! There are 56 Dallas area Sprint locations participating so you should call to make sure the store nearest to you is participating. Oh but wait, it gets better! In addition to going to your local Sprint store, readers of ClintonFitch.com also have a chance to win right here on the site. Thanks to my friends at Ivy Worldwide, I’ve secured a Samsung Conquer to give away plus two tickets to the Samsung 500! So you have a chance to win twice! 1. Go to your local Sprint location and get a demonstration of the Samsung Conquer or Samsung Epic 4G and leave a comment on this post of what you thought of the device. You can double enter by liking and leaving a comment about the Samsung Conquer or Samsung Epic 4G demo you received on the ClintonFitch.com Facebook page. Just click the Facebook icon at the top of the site to go to Facebook. Be sure to leave your Twitter handle in your comments so I can match them up! On April 1st I will randomly pick a winner of the Sprint Samsung Conquer and Samsung 500 NASCAR race tickets and will announce the winner on Twitter and on Facebook. The winner will have 24 hours to reply and if they don’t another winner will be selected. Good luck and be sure to tell your friends!